In my frenzy to get things going for this year’s up coming garden, earlier this month I was taken by seed fever. I needed seed packets in hand to begin plotting my raised beds, to make and remake plans of a fruitful garden while greedily hording my seeds. Since I had the time, I decided this year I would get some truly spectacular seeds, not just a fistful of Burpee’s from the local home improvement store. I wanted heirlooms. I wanted to carefully select my varieties for hardiness and flare. I wanted to shop with careful consideration. 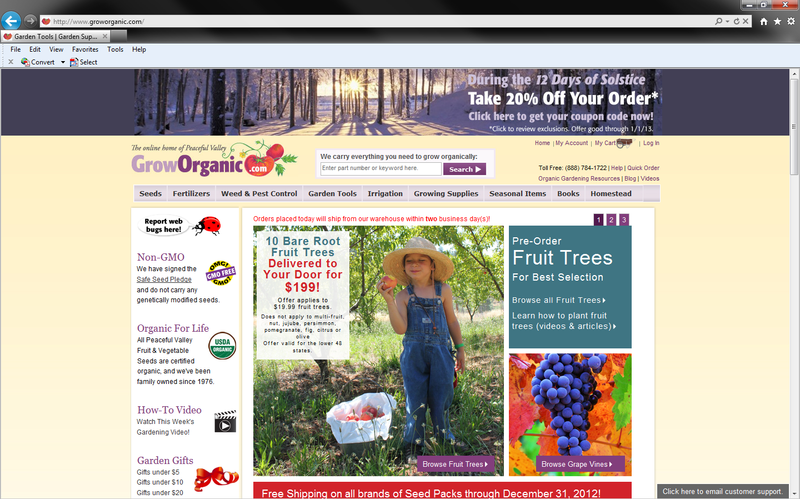 Since I didn’t really know of any reputable sites offhand, I decided to go with www.groworganic.com. 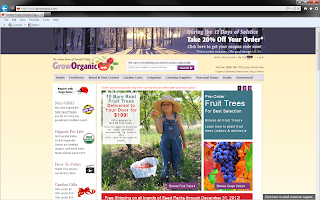 I liked their website, the prices were reasonable, and they had a vast selection of seeds with fantastic descriptions of each variety, as well as some customer reviews. After pouring over the various seeds, I finally placed an order. At checkout I was told a few of the items were on back order – no sweat, after all, it’s not like I was planning on planting tomorrow. The bulk of the order, I was told, would ship out in just a few days and I would receive an email confirmation when it shipped. This was on December 6th. And so I waited. After a few days I checked my account on the site and it assured me my order would be shipping out the 14th. And so I waited some more. No shipping email. Frustrated, I checked back in on the site on the 20th. Nothing had shipped, even the order still stated it would be shipping out the 14th. Irritated, I used the handy-dandy Live Support feature. After giving the nice text box lady my order number, she told me she couldn’t understand why my order hadn’t gotten shipped out, and she would make sure it went out that day. Satisfied, I waited some more. No shipping email. Now on the 26th, truly ticked off, I wrote them an email, asking them to let me know what was going on with my order or to refund my money so I could place an order somewhere else. I received a response that my order was indeed shipped out on the 20th (so much for a shipping email), and I was led to believe it contained everything but my onion bulbs, which I was told wouldn’t ship out until January 22nd. I guess it’s a good thing I placed my order early as I may not receive anything till Spring at this point. According to the tracking number they provided, my seeds are in CT today, so should hopefully be here soon. I’ll double check everything thoroughly when it arrives to ensure everything was included. 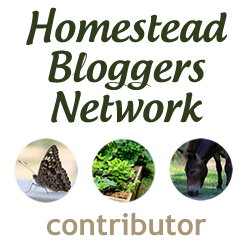 I’m really disappointed, especially since I ordered from www.groworganic.com specifically for the chicken forage seed mix they offer. I don’t think I’ll be placing any more orders with them in the future. If anyone has any other great sources they know of for seeds, I’d love some suggestions.